These terms and conditions apply to all tickets bought and sold using TicketGun.com (“TicketGun” or this “Site”). By buying or selling any tickets through TicketGun you agree to these terms and conditions. As these terms and conditions may change at any time please look at this page regularly and each time you buy or sell tickets. TicketGun is owned and operated by TicketGun.com Ltd ("we" or "us"). We are registered in England under company no. 09137475 and have our registered office at 19 Britannia House, Bentwaters Park, Rendlesham, Suffolk, IP12 2TW United Kingdom. TicketGun has a relationship with event organisers ("Organisers") for whom we facilitate tickets sales and Ticket Buyers (“Buyers”) for whom we facilitate ticket purchases. These terms and conditions govern both relationships. TicketGun facilitates online sales of tickets between Organisers and Buyers. TicketGun does not host or organise events: it only provides an online ticket selling service. Therefore, TicketGun has no direct responsibility for any events listed through its online booking service. To purchase one or many tickets please visit the TicketGun event url and select the date for which you wish to purchase tickets and select the number of tickets. Certain events are marketed on multiple dates and may also have multiple priced ticket tiers. Be sure to select the correct date and time and pricing tier. The full price for your tickets (including a booking fee if applicable) will be reflected on the confirmation screen prior to you clicking the “BUY TICKETS” button.  Once you have purchased tickets through TicketGun the price paid for your tickets is non–refundable and that booking cannot be altered unless consent is given by the Organiser. If you have any queries about your booking, wish to make any change to it or make any other arrangements with any organiser you have booked via TicketGun, please contact the Organiser directly. The contact details for your Organiser will be contained in your Ticket Booking Confirmation and in the Follow Up Email. Please note you may not be entitled to make any changes to the tickets booked through TicketGun and any such changes are entirely at the Organiser’s discretion. We will pass on the details that you give us at the time of booking to the Organiser. After buying tickets, in your ticket confirmation email, you may be given a personalised affiliate link which you can use to help spread the word to your friends/audience. This email will make it clear the number of tickets you will need to sell off this link before your original ticket/s are refunded. The original ticket face value will be refunded to you without deduction of any fees should you be successful at generating sales off the affiliate link. There are three steps to opening a TicketGun Account. After creating your event you will be supplied with a “tgun.it” shortlink which should be used to market the event to your buying audience. Stripe.com is a third party online payment processer. Stripe.com handles all online debit and credit card payments on behalf of the Organiser. TicketGun processes the Event Organiser’s ticket sales. Stripe.com collects the ticket sales proceeds from the Buyer and pays it directly to the Event Organiser subject to Stripe.com’s separate Terms and Conditions. (see Stripe.com’s Terms) This payment is made after two separate deductions of 1) the Stripe.com fees (2.4% + 20p per transaction or any other rates advertised by Stripe.com or specially negotiated between Stripe.com and the Event Organiser – this may differ in different geographies) and 2) The TicketGun transaction fee of 1% of the face value of the tickets sold. In Step Two of the Account creation process (see above) the event organiser will be required to connect their Stripe.com account to their TicketGun account. Should the organiser not already have a Stripe.com account they will be required to create one. In this process, the event organiser will be redirected to Stripe.com and will be required to consent to Stripe.com’s separate Terms and Conditions. For avoidance of doubt, please note that TicketGun.com Ltd does not have access to or hold at anytime the proceeds from the sale of any tickets. These proceeds are held by Stripe.com. Stripe.com only pays TicketGun its 1% transaction fee. TicketGun can be used to allocate free tickets to events. (these event tickets should be setup as normal but priced at zero) However, event organisers are still required to connect TicketGun to a Stripe.com account. In event of the treatment above, Organisers will receive less than the full aggregate face-value of tickets sold if they choose to make use of the affiliate selling mechanism described below. When setting up an event, the Organiser may choose to reward a Buyer for selling additional tickets to the event. If this is the case, the buyer will be given a unique ticket link to market to their audience. This link will be included in their Ticket Confirmation email. The Organiser will set the ratio of tickets to be sold to one ticket refund. Should the Buyer make sell over this threshold, TicketGun will automatically refund the ticket price (without deduction of a TicketGun or Stripe.com fee) to the original Buyer. These refunds will be evident in the Organisers Stripe.com account. Unless you have previously entered into an agreement with us to do so, no part of the Site may be linked to or framed in any other Site. The Site may contain links to sites of Organisers and other sites and resources provided by third parties. These links are provided for your information only. We do not take any responsibility for any content of any sites provided by the Organisers or others as we have no control over the content of those sites. We do not accept any responsibility for such sites or for any loss or damage that may result from using them. The contract for your booking for an event is between you and the organiser. It is the Organiser’s responsibility to provide the access to the event that you have booked via the Site. We do not have any liability or responsibility to provide any such access ot the event nor do we have nor do we have any liability or responsibility for Organiser failing to comply with its contract with you or for any other acts or omissions of any organiser. All information relating to events featured on this Site has been provided by the organisers themselves. As we do not check that information or inspect any venues, we do not guarantee or provide any assurances that any information relating to the venues or other content provided on this Site is up to date or accurate. Whilst we endeavour to make this Site available, no guarantees or warranties are made that it will be available at any time or at all. You agree that these terms and conditions and any documents referred to in them constitute the entire agreement between you and us regarding your use of TicketGun and supersede anything previously agreed between you and us. If we fail to exercise or enforce any right we have under these terms and conditions, this does not mean that we have waived that right and we may still exercise or enforce that right later on. The English courts will have exclusive jurisdiction over any claim or dispute arising from or related to TicketGun or relating to these terms and conditions. These terms and your use and access of TicketGun are governed by English law.